Go Mortgages offers first time mortgage plans in Edmonton and all of Alberta. Our first time mortgages can help you buy your first home. In addition to fast approvals and speedy mortgage funding, our mortgage experts have decades of experience helping first time buyers in Alberta. Our mortgage experts help first time buyers get the most affordable loan rates and terms on their first home. 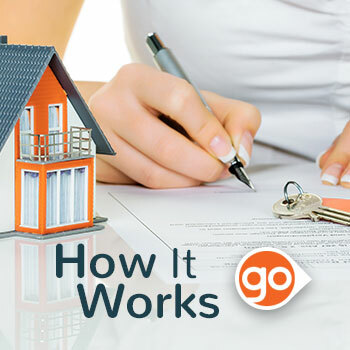 Buying your first home is simplified with Go Mortgages. Our mortgage professionals can guide you every step of the way to a successful first home loan. The amount of the down payment (which represents your financial stake, or the equity in your new home) should be determined well before you start house hunting. Our mortgage loan experts can guide you every step of the way and save you a lot of time and stress. Our brokers have helped numerous Albertans buy their first home. Our home loan experts can help you understand how much mortgage you can manage, and to explore both traditional and innovative loan options for a first time home owner. Our professional mortgage experts can get you a lower rate loan and save you money. Today, about 50% of first time home buyers use their RRSP savings to help finance a down payment. With the federal government’s Home Buyers’ Plan, you can use up to $20,000 in RRSP savings ($40,000 for a couple) to help pay for your down payment on your first home. You then have 15 years to repay your RRSP. Even if you have already saved for your down payment, it can make good financial sense to access your savings through the Home Buyers’ Plan for your first home loan. A pre-approved home loan or mortgage is one of the first steps a home buyer should take before beginning the buying process. The first home loan is always the hardest. Give us a call or schedule your free no obligation consultation for your first home loan.